Showing that depth at Starting Pitching can do well even if players go down with TJ Surgery. 3. ***Detroit Tigers 28 – 19 (1) 7 – 8: The ‘Motown Boys’ were riding high after sweeping the Red Sox a week ago. A brutal plane delay ensued – and a 1 – 7 record. Miguel Cabrera is finally hitting and Victor Martinez is only 2nd to Edwin Encarnacion in May HRs. Need Justin Verlander to resemble himself. 4. ***Atlanta Braves 28 – 22 (4) 8 – 7: Atlanta is the beneficiary of an injury riddled Nats club, however Justin Upton has picked it up. When the younger Upton is hitting, the Braves are winning. Braves just find ways to win even with substandard hitting from 2B and B.J. Upton too. 5. St. Louis Cardinals 28 – 23 (13) 10 – 4: A big homestand has corrected the ship – and they have still have played 6 more away from Busch Stadium. Unbelievable that Yadier Molina has keeps becmong better every year at the plate even though he is older. Has thrown out 12 – 22 baserunners. Oscar Taveras coming soon. Adam Wainwright the NL Cy Young Pitcher so far. Michael Wacha has had rain delays in 4 of 11 starts. 6. LA Dodgers 28 – 24 (6) 8 – 6: Held opponents without hits for 55 straight AB from Saturday May. 24 – May. 26th, including Josh Beckett‘s no hitter, and Hyun-jin Ryo throwing 7 perfect innings yesterday. With Beckett and Ryu throwing in this rotation, added to Clayton Kershaw and Zack Greinke, this team is set for take off. 7. ***Toronto 30 – 22 (9) 11 – 3: 7 straight wins, and are enjoying a torrid streak for Encarnacion. Buehrle is 8 – 1, Drew Hutchison has added depth to the starters, and R.A. Dickey has his ERA under 4 for the 1st time since joining the team. 8. ***Milwaukee Brewers 30 – 22 (5) 7 – 8: ‘The Brew Crew’ has been fading for a couple of weeks. Francisco Rodriguez has given up several runs in his last few outings. Aramis Ramirez and Ryan Braun finding it tough to stay in the lineup. 9. LA Angels 28 – 22 (9) 10 – 4: Albert Pujols with a great start, Mike Trout striking out a lot, but is being picked up by the 1 – 4 Starters. Trout is still playing decent, just not at MVP caliber type rate yet. 10. Baltimore 26 – 23 (8) 8 – 7: Nelson Cruz leading the MLB in HRs, and soon could be joined by Chris Davis. Neat little trade picking up Nick Hundley. Chris Tillman starts of late have to be concerning, but this team hasn’t hit full offensive clip yet. When Manny Machado and J.J. Hardy begin to hit, this lineup will be scarier. 11. NY Yankees 27 – 23 (12) 8 – 7: Staying afloat despite Masahiro Tanaka, and the injury taxi squads. Ichiro Suzuki playing a nice role in a backup position, Bullpen and young starters helping oiut. 12. Washington 25 – 26 (7) 6 – 9: The Nats have to get Bryce Harper and Ryan Zimmermann back soon. This offense needs them big time. They lose for the weirdest of reasons. Not so easy to win like 2012 is it fellas? Dropping rankings fast. Doug Fister looking a lot better in his last few starts. 13. Texas 26 – 25 (14) 7 – 7: Since Prince Fielder went out the offense has rallied, winning 4 of 5 games, based on hot streak for Alex Rios and Elvis Andrus. Under the radar is how well Shin-Soo Choo has played thus far. Yu Darvish saving the whole staff. 14. Colorado 27 – 24 (10) 5 – 9: The Rockies are 5 – 10 in their last 15 road games, and are night and day away from Coors Field. Have played only 23 games at home, and 28 on the road so far. Charlie Blackmon and Justin Morneau slowing down, while Nolan Arenado and Carlos Gonzalez hampered by injuries. 15. Kansas City 24 – 26 (16) 7 – 7: Lets hope soreness to the elbow of Yordano Ventura is not serious. The power of this club is abysmal. Time to bring “Uncle” George Brett down for some hitting tutorials again. 16. Seattle 25 – 25 (15) 7 – 8: Mariners hanging in and have a lot of games at Safeco Field coming in. May have finally found a leadoff man in James Jones. Need to find a suitable DH and OF that can hit now. Robinson Cano may hit .330 – with 8 HRs and 110 RBI circa Tommy Herr 1985. 17. Cincinnati 22 – 27 (17) 6 – 9: Joey Votto not in the lineup is killing them. Alfredo Simon saving the staff, and Johnny Cueto one of the 5 best pitchers in the league right now. Other than Todd Frazier, there has been a sever power outage from Brandon Phillips, and now returning player Jay Bruce. 18. Tampa Bay 23 – 29 (18) 7 – 8: Alex Cobb coming back has to help this staff. Jake Odorizzi looking a lot better, but David Price not throwing well. Ben Zobrist injury exposes what life will be like when he is not longer on the team eventually. 19. Miami 27 – 25 (22) 7 – 8: Giancarlo Stanton is bashing his way to the club contending. There is still a correction in record coming, when they make up the road games. 20. Pittsburgh 23 – 27 (20) 7 – 7: The Pirates are hanging in there. All of a sudden. Ike Davis/Gaby Sanchez tandem isn’t so bad at the 1B position. Francisco Liriano is the new Bret Saberhagen, as they can never duplicate good seasons on the mound. 21. Chicago White Sox 26 – 27 (21) 7 – 8: Adam Eaton and Chris Sale back with the big club should help hugely. Big decision coming on whether they will trade Alexei Ramirez or not with his value being higher than ever. 22. Cleveland 24 – 28 (23) 7 – 8: It is two steps forwards and 3 back. 23. Boston Red Sox 21 – 29 (11) 3 – 11: David Ortiz to the rescue again last night, down 6 – 1, he hit a huge 3 run HR and saw his team win 8 – 6 afterwards. Clay Buchholz walked 8 men in 3 innings yesterday. Mike Napoli and Shane Victorino back on the injured reserve. Still think they will correct this. 24. Minnesota 23 – 25 (25) 7 – 8: Ron Gardenhire is doing a great job with this club being just 2 games under .500. Phil Hughes pitching awesome in the last month. He is on the hill today versus Yu Darvish. He may end up at Target Field for the Midsummers Classic if he can keep it up. 25. San Diego 23 – 29 (27) 6 – 9: We have said it all along. Injuries were going to play a factor – and they have. Andrew Cashner watch is on, Robbie Erlin has joined him, and the team is receiving lackluster play from a lot of players. 26. New York Mets 22 – 28 (25) 6 – 9: Releasing Jose Valverde just a short time after Kyle Farnsworth. Real Shocker. Curtis Granderson on the Interstate for averages at Citi Field, Chris Young batting .202, and Bartolo Colon struggling? Hmmm. Its Brewster Millions at its best. Spend $30 MIL and have nothing to show for it. Hopefully Noah Syndergaard is okay. 27. Philadelphia 22 – 26 (24) 5 – 8: Ryan Howard erupts last night, and Chase Utley and Jimmy Rollins playing better than people thought. Domonic Brown is M.I.A since last June. Darin Ruf might help this squad soon. Maybe Amaro JR will be convinced to trade some players this year. 29. Houston 20 – 32 (30) 9 – 6: George Springer is evolving right before our eyes. A 4 game HR streak (5 HRs), and he looks awesome. Jose Altuve leading the Majors with Hits, and the AL in SB. The little dude can play. 30. Chicago 19 – 30 (29) 6 – 9: Glad the boys finally got a win for Jeff Samardzija. The guy has a great ERA of 1.68. Jason Hammel has thrown well enough to be traded in a couple of months. 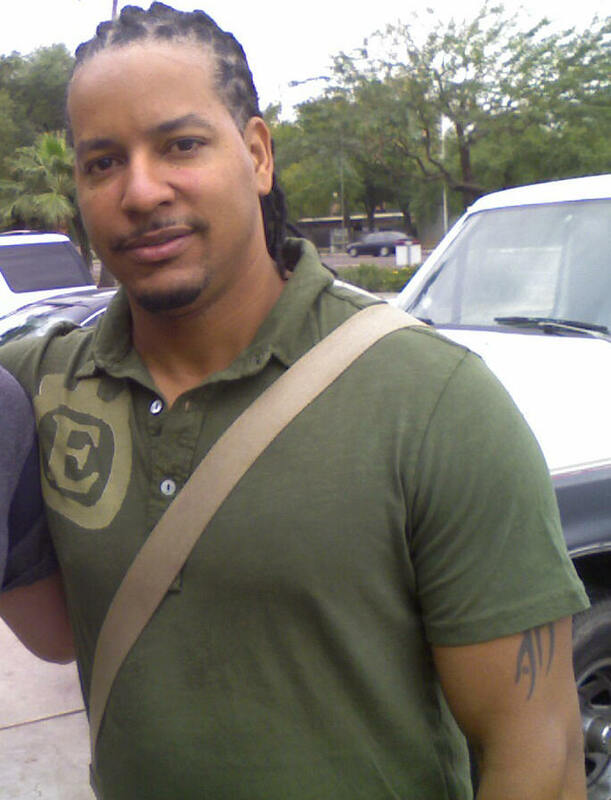 Manny Ramirez “The Mentor”… Not sure, but maybe they should give him a drug test before they ink the contract. Posted on May 27, 2014, in MLB Teams: Articles and Analysis, Players: Fantasy Baseball Articles and tagged Adam Eaton, adam wainwright, albert pujols, alex cobb, alexei ramirez, alfredo simon, Andrew Cashner, b.j. upton, bartolo colon, Brandon Hicks, brandon phillips, bret saberhagen, buster posey, carlos gonzalez, charlie blackmon, chase utley, chris sale, chris tillman, chris young, Coors Field, curtis granderson, darin ruf, david ortiz, david price, derek jeter, Domonic Brown, doug fister, drew hutchison, edwin encarnacion, francisco liriano, francisco rodriguez, gaby sanchez, george springer, Hyun-Jin Ryu, ichiro suzuki, ike davis, j.j. hardy, jake odorizzi, James Jones, jay bruce, jeff samardzija, jimmy rollins, joey votto, jose altuve, jose valverde, josh beckett, josh donaldson, josh hamilton, justin upton, justin verlander, kyle farnsworth, mark buehrle, masahiro tanaka, michael wacha, miguel cabrera, mike napoli, mike sciocia, Mike Trout, nelson cruz, nick hundley, Noah Syndergaard, nolan arenado, oscar taveras, pablo sandoval, phil hughes, prince fielder, r.a. dickey, raul ibanez, robbie erlin, robinson cano, ron gardenhire, ryan howard, ryan zimmermann, safeco field, shane victorino, shin-soo choo, todd frazier, tommy herr, victor martinez, yadier molina, Yordano Ventura, yu darvish, zack greinke. Bookmark the permalink. 1 Comment.